Do you need an easy way to view word definitions while browsing with Internet Explorer? 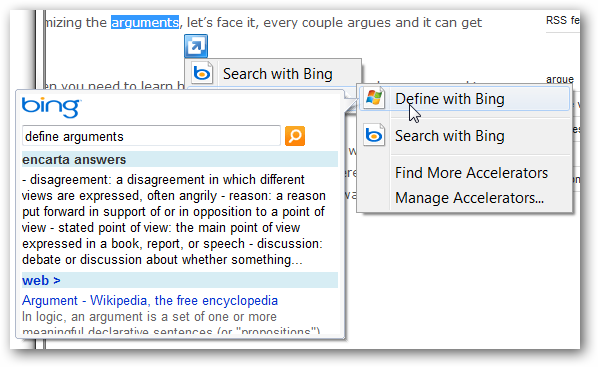 The Define with Bing Accelerator will display definitions in the same (or a new) tab and save you time while browsing. The installation consists of two steps. 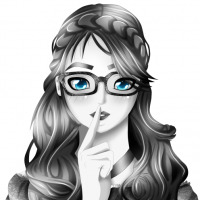 First, click on Add to Internet Explorer to start the process. Next you will be asked to confirm the installation. 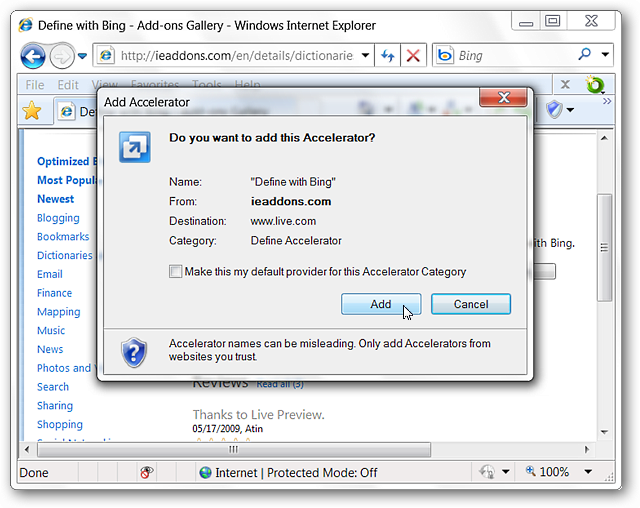 Once you have clicked Add your new accelerator is ready to use (no browser restart required). Being able to access a definition or explanation in the same tab will definitely save you time while browsing. 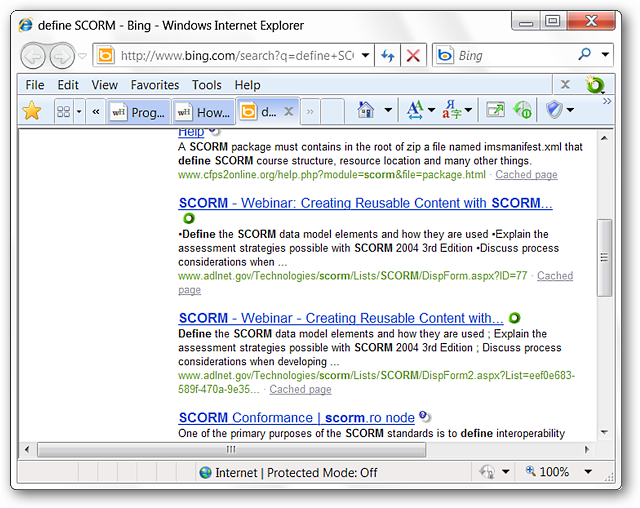 In the example shown here you can get an idea of what SCORM means but clicking on the links inside the popup window is not recommended (webpage opens in popup and is not resizable). 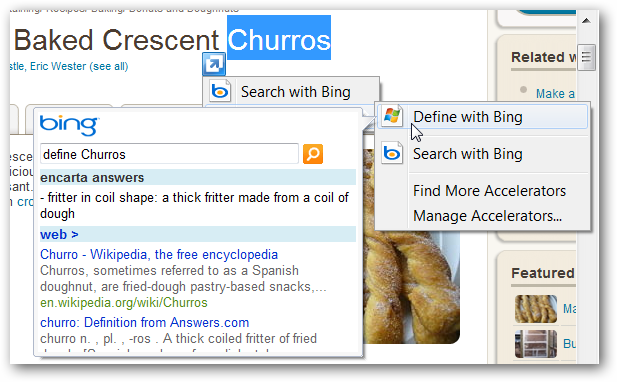 In the situation shown above it is better to click on Define with Bing and see more information in a new tab. 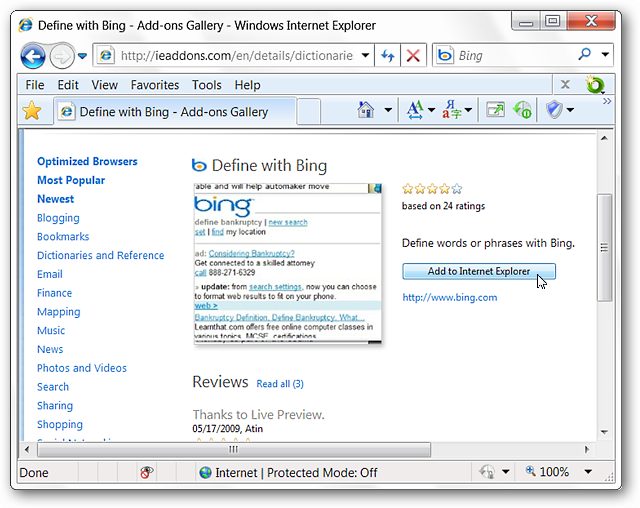 The Define with Bing Accelerator can be a very useful time saver while browsing with Internet Explorer. Finding those word definitions will be a much more pleasant experience now.